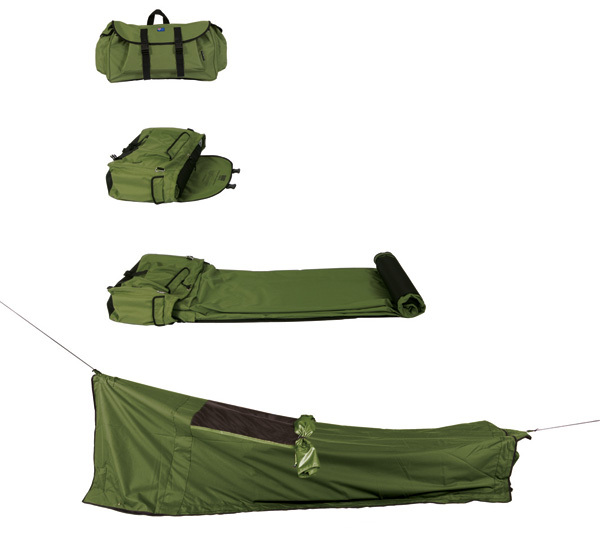 Backpack Beds by Swags for Homeless (or or solitary campers) , designed by Tony & Lisa Clark, has won ”best of the best” in the German-based Red Dot product-design awards. The fabric used to craft it is waterproof, windproof, fire retardant, anti-mildew & warm. It has also built-in storage pockets & secret lockable internal pockets and requires no poles but just the ropes to set it up. 11 Backpack Bed by Tony Lisa ClarkThis rugged backpack with built-in storage pockets secret lockable internal pockets requires no poles but just the ropes to set it up.